Waimea is a scenic cowboy city located on the east side of Kohala Coast, Hawaii’s Big Island. Waimea is known by the name Kamuela in the U.S. Postal Service. The town has about 9000 residents. It is situated about 2000 feet above the sea level. In the Hawaiian language, Waimea is defined as red waters. The Hawaiian people call it red waters because the color of the water in the Waimea stream is red. The Waimea River flows past the center of the Waimea town. Waimea used to be the home of Hawaiian cowboy. The Hawaiian cowboy, also known as paniolo raised cattle in large ranches many years ago. The history of the town as a cowboy town can be traced back to the gift to King Kamehameha I. In 1792, someone gave King Kamehameha I many cattle. King Kamehameha I set up a kapu, which is a place for the cattle to stay. The cattle multiply in large number so that they ruin many crops. Because the cattle are so wild, King Kamehameha III decided to ask the Spanish cowboys to come and train the cattle. The Spanish cowboys, also known as vaqueros taught the local Hawaiians how to tame the wild horse and cattle. They taught the local people about the basics of horse riding and cattle riding. John Palmer Parker established a ranch called Parker Ranch in Waimea in 1848. Today, Parker Ranch is the biggest cattle ranch in America. It is the oldest ranch that exists in United States. Much of the land in Waimea is controlled under Parker Ranch. At Waimea, you will see stop signs that read Whoa. The Kahua Ranch can be found in Waimea. You will find many sheep and cattle in the Kahua Ranch. You can explore the area by horse ride or all terrain vehicle (ATV). If you want to participate in the guided tour, you should visit Kahua Ranch. Besides, you can also find Merriman’s Restaurant at the town. Peter Merriman founds Merriman’s Restaurant. Peter Merriman was the man who won the James Bears Award in the Best Chef contest. 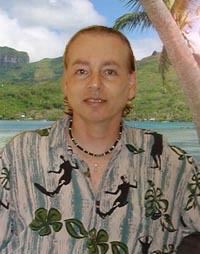 He is also affiliated with the Hawaiian Regional Cuisine association. While visiting Waimea, you can go to the Kahilu Theatre to watch shows. Waimea offers many shops and restaurants so you will surely enjoy your holiday. There are lots of employment opportunities for people who are thinking of moving to Waimea.